Are you living in the London area and looking for the best deal for an amazing vacation to Southern France? 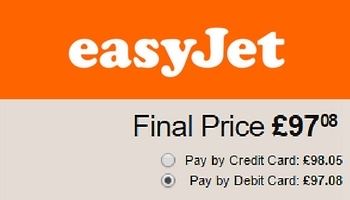 EasyJet is the best deal. 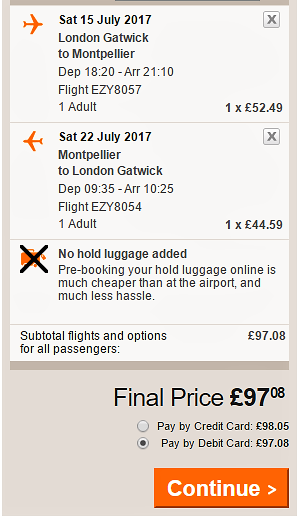 You can now book flights for about £100 to Montpellier during the summer. This incredible price is one of the reasons why you should not hesitate to visit the South of France next summer. Plus you know that you will have an unforgettable experience with our small group insider tours. Julia and Stephane can’t wait to show you around Southern France and show you how to live like a Sud de France native! You just have to book our tour package, book your flight, pack your bags, and we will be waiting for you at the airport. If you decide to stay longer than 8 days we can arrange a post tour stay. You could even spend an extra 3 days at the beach to enjoy the Mediterranean or stay in Montpellier and discover all that this vibrant city has to offer. See all the details about our insider small group tours of Southern France.